It’s over. So who pays the mortgage? t’s holiday time again, undoubtedly a time reserved for family, community, and the spirit of generosity. Looking at it more pragmatically, through ‘lawyer’s eyes’, the December/January holiday period is still essentially another day on the calendar. The world keeps turning, and the bills keep coming in. For those in Family Law proceedings, the added emotional and financial weight during the holidays is often very difficult to deal with. This question takes on even more importance post separation when budgets are stretched to their absolute maximum by the need to run two households. The first and most important thing to remember is that if your property is in ‘joint names’, that is, both you and your partner are on the Title Deed, then you are both legally responsible for the payment of the mortgage. If the mortgage repayments are not made and the mortgage is defaulted, then the lending institution will want to take possession of the property and sell it in order to discharge the debt. 2. You remain living in the house that has a mortgage over it, while your partner has moved out. 1. The first step to take would be to contact the lending institution and inform them of your situation. While the lender will still require mortgage payments to be made, it is often better to inform them so they are aware of the reason for missed payments. You may in fact find that the lender is willing to reach a compromise agreement about repayments pending final division of your property through the Family Court. Keep in mind that any failure to meet your mortgage repayments will affect your credit rating and potentially your ability to borrow money in the future. 2. You and your partner can agree to sell the property. This will ensure that the mortgage is paid. The balance of the proceeds of the sale can be held in trust until you and your partner reach a final agreement. 3. In some circumstances, you may be able to obtain a Court Order for spouse maintenance to force your spouse to contribute to the ongoing mortgage repayments. It is also important to remember that your contractual obligation to make your mortgage repayments to your lending bank, and the effect that the payment of, or the failure to pay, mortgage repayments has on your Family Court entitlements, are two very different things. The lender will only be interested in having the mortgage debt serviced, and where payments are in default, failing an alternate agreement, the property will need to be sold to discharge the debt. From a Family Law perspective, I often advise clients to keep making contributions to the mortgage repayments if possible, as it can enhance your property entitlements in the Family Court, if those repayments are seen as post separation contributions made by you. For example, if you have moved out and yet continue to pay the mortgage. On other occasions, I will advise clients to cease making any contribution to mortgage repayments where they don’t occupy the house and have to rent new premises. Generally, the failure to contribute to the mortgage repayments in these circumstances will not reduce your entitlement to a share of the property under the Family Law Act. 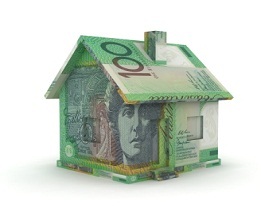 Ultimately, the financial ramifications, either with the mortgagee and/or in the Family Court, can be serious if you make the wrong decision in relation to your mortgage repayments. If you are unable to agree with your partner about what is to be done with your property and the mortgage, then we suggest that you see one of our skilled Family Law team members here at Watkins Tapsell. We can help you decide on, and implement, the best option to minimise any negative impacts on you arising from your ongoing mortgage debt.